The aging population worldwide is growing very fast: 8.5% are aged 65 and over. This is expected to jump up to 17% by 2050, in Africa 4.5%, by 2030. The authors argue that the majority of elderly people depend on services provided by their families and religious institutions. Although the African culture encourages family members to respect and care for their elderly persons, this has not been the case due to economic challenges facing families. Many elderly men and women live in poverty. Women suffer more because of cultural beliefs and responsibilities to care for HIV AIDS orphaned grandchildren. The beliefs that associate elderly women with witchcraft lead to abuse and killing of innocent people. The authors highlight the challenges for religious institutions to give shelter and provide medical services. They struggle with limited funds to provide what elderly people need to protect their dignity. Elderly people need a lot of love and good care, and the lack of trained elderly care takers becomes a challenge. 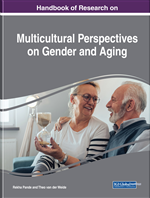 The main purpose of this paper is to highlight challenges facing religious institutions in their efforts to care for elderly men and women, as guided by the religious practices and African culture. According to the culture, care of elderly is a responsibility of the family which should not show any form of gender discrimination. Several challenges include chronic poverty in many African families; for instance up to 64 percent of elderly people in Uganda live in poverty (Help Age International, 2008). Families, religious institutions, and other religious groups encounter challenges in carrying out this noble duty. Religious institutions advocate for the elderly respect and care in a globalized African Societies. What does the culture say about the care for elderly men and women in the families, communities and societies in Africa? Unequivocally, the speed in global aging of men and women is a major concern due to its consequences on political, economic, social and psychological life in Africa. As Richard (2015:1) reports, all African nations face somewhat different aging prospect. For instance, South Africa, Kenya and Tanzania just to mention a few are aware of the aging generation, hence try to take some precautions, in order to be in a position to mitigate the challenges as they emerge. In Tanzania for instance there are campaigns in public transport, hospitals, banks to mention a few to show respect to elderly people and ensure that they enjoy public services effectively. Such services are expected through a special ministry focusing on welfare of older women and men to help them live longer, remain healthier and more comfortable (Small, 2015). Furthermore, the focal point is how culture of most people in Africa, especially south of the Sahara helps the protection, respect, listening and caring of the elderly. It is known that elderly people have a long life experience and wisdom that can help the middle age and young generation to transform the society into a better place for all to live. It is important though to note that attitude concerning the care of elderly people differ from one culture to another. Despite all changes that have taken place in society today, some families still value their elderly family members, which entails that, extended families still adhere to this culture of honoring and giving special respect to the older generation, while others have permanently failed. The paper argues that religious leaders who help to counsel or modify individuals associated to suffering (Oris, 1993) are at times overwhelmed. This is due to the social, economic and political changes in the globalized society. The paper discusses an overview of gender aspect interims of the challenges facing elderly care, socio-economic challenges facing elderly people, Challenges in religious institutions in their efforts to provide care for the elderly men and women and religious group’s initiative to protect elderly people and their dignity in families, elderly homes and hospitals. The paper demonstrates that some communities are hostile to elderly persons especially because cultures in Africa differ while others are very caring and loving. Finally, the paper uses information from secondary data and narrative information from various people who have lived with elderly persons in their families. The method used to get information is generally qualitative. The paper ends up with conclusion and recommendations.